Showing 6 articles from July 21, 2013. 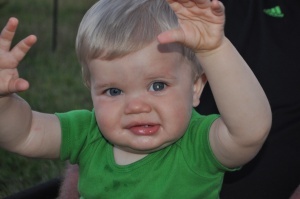 This is a photo taken on Ryder's first birthday, which alerted the family to his eye condition. The glow reflecting in his left eye is a known sign of Retinoblastoma. May 4th was Ryder Aust’s first birthday, a time any parent would love to document with a multitude of pictures. Amongst the pictures taken, a family friend of the Austs noticed an odd glow coming from Ryder’s left eye. Does PUD’s Tokeland extension project follow Washington law? Pacific County PUD initiated a project in 2002 to extend services to the Tokeland and Grayland area, annexing the territory from the Grays Harbor PUD. Grays Harbor has served the area since the conception of Pacific County and Grays Harbor PUDs in the 1930s. Look into the library’s many reading programs for children and adults. Ask for a peek at original children’s census records from 1911-1931, or a review of typed histories of local pioneer families. Or check out a Nook for online books. I want to thank the Willapa Harbor Harold for doing a feature article on our food bank. A Randle man has been arrested by the Lewis County Sheriff’s Office for allegedly beating and strangling his fiancée to death last week. Corey R. Morgan, 32, was arrested and booked Friday on a charge of second-degree murder after his wife-to-be, Brenda L. Bail, 48, of Chehalis, was killed the day before in what Morgan originally said was a traffic collision.